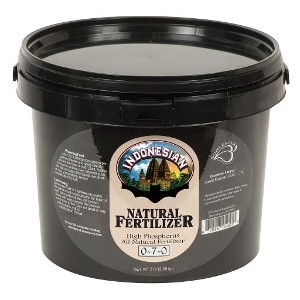 High-phosphorus Sunleaves® Indonesian Natural Fertilizer encourages plentiful blooms and hardy root growth. It’s 100 percent natural and suitable for all indoor and outdoor plants. Dissolve in water, or apply as a top dressing for slow release.